If you live in Europe and plan to visit another state, or maybe you don’t live in Europe at all but plan to visit EU countries, you might be wondering what the best way to pay for goods and services in one or another country is. 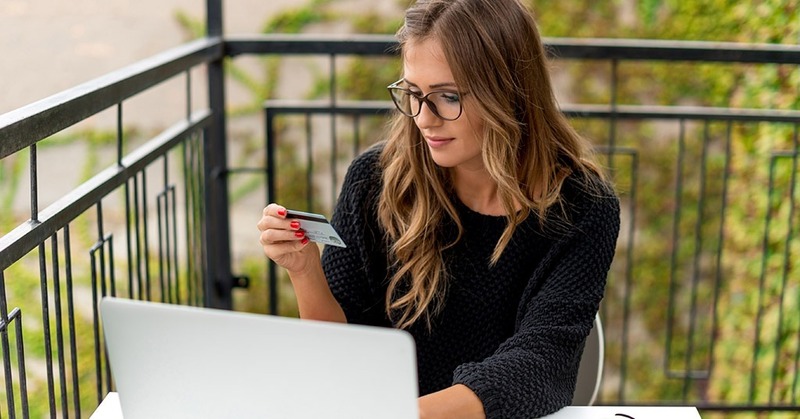 PaySpace Magazine offers you to find out more about the most popular payment methods in Europe, and which option is the best for a particular country. According to the Payments and e-commerce report for Western and Central Europe conducted by PPRO Group, we have prepared four brief reports about the prevalent payment methods, and which countries use these options as the major ones. Entercash is a FinTech company that was founded in 2011. This firm specializes in the instant payments field and operates under control of Malta Financial Service Authority (MFSA). The company has solutions, that help to eliminate the need for third-party ones. Entercash offers service to trading enterprises and companies worldwide, and facilitates a comfortable and secure shopping experience between retailers and their clients. The company carries out instant banking transfers through a reliable platform. Entercash was created (and nowadays is headed) by real professionals with extensive experience in finance, FinTech, and IT sectors. That’s why this company has such a broad range of fields: from banking and audit, to the architecture of financial operations and solutions. The team of experts has a deep understanding of local needs and regulations, which helps the company to be one of the market leaders in multiple countries. You may wonder how it works. Entercash is a real-time bank transfer system. Clients get redirected to their online banking portal, where they authorize the payment. According to statistics, the company has no less than 100M active users. If a client wants to use the service, they have to select the “pay with Entercash” option. Then a client chooses the bank that they prefer and logs into home banking. Any transaction or operation is carried out instantly. This payment method is highly popular in Austria, Czech Republic, Germany, Greece, Slovakia, and Sweden. Google Pay was developed by Google in 2015, and it is an online payment system and a digital wallet. It works via Android mobile devices (smartphones, tablets, and smartwatches). Initially, the system was called Android Pay, and was introduced during the Google I/O developer conference in 2015. The service is based on Google Wallet, which was released in 2011. Google Pay is powered with NFC technology, thus it works wirelessly (transmitting the card data to the retailer). Thus, it replaces the role of the PIN, or magnet strip of credit/debit card, allowing users to load this information to their devices. A user can add their payment card to the system via a photo shot of their card, or inputting the card data manually. Consumers have to put their device to the POS terminal and hold it until transaction succeeds in order to make a payment. This payment method has 2FA (two-factor authentication) to enhance the security of each transaction. This payment method is highly popular in Belgium, Czech Republic, Germany, and Slovakia. TrustPay was launched in 2009 and registered in Slovakia. It is a licensed company, which offers its clients solutions for online transactions and transfers of funds. In other words, TrustPay allows carrying out electronic payments using your bank account. Thus, they handle instant bank transfers between its partner banks. Since TrustPay is an EU licensed and regulated payment institution, it is a principal member of Visa, MasterCard and UnionPay, SEPA SCT and SDD scheme participant and a member of SWIFT. In order to use the service, you have to input your name and billing address (also referred to invoices). Then you have to enter the process ID and password/code to enter the system (TrustPay website). The system makes a transaction from your account (you have already set it during the registration process). If the transaction is successful, you would be notified. Thus, all the system needs is your account with a TrustPay supported bank. This payment method is highly popular in Czech Republic, Slovakia, and Spain. SEQR is a QR code-based mobile payment system. It was developed by a Swedish company called Seamless. This company is considered to be one of the leaders of the mobile payments market worldwide. Seamless conducts more than 3M payment transactions yearly and it is available in more than 26 countries all over the world. SEQR allows paying for different goods/services with the help of a smartphone with the special app downloaded. A user has to scan a QR code, approve the chosen purchase, and finalize the transaction with a PIN. You can carry out such payments in almost every place you want: online stores, cashier desks at points of sale, ads in mass-media or outdoor advertising. This payment method is highly popular in Finland, France, and Italy.